2. Where is my Vehicle Identification Number (VIN) located? The most common place to find a VIN is on a plate attached to the top of the dashboard on the driver's side. The tag is designed to be visible through the windshield from outside the vehicle. 3. Where is my nearest Isuzu Service Facility? 4. How can I contact Isuzu Motors America, LLC? 5. How do I obtain a recall clearance letter? Our Owner Relations department can assist you. Please contact them at (800) 255-6727. 6. I've heard that there are certain trademark issues when putting company names and logos on personal Web sites. What is Isuzu's trademark policy? Isuzu Motors America, LLC has created the following guidelines on the correct way to use Isuzu's trademarks. This guide shows how and where they can be used. 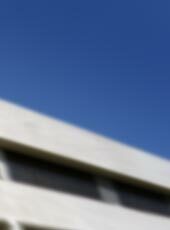 Isuzu prides itself in its quality products and in the high standards its trademarks represent. Because of this attitude, and the loyalty and enthusiasm of our customers, Isuzu must act diligently to protect its trademarks. Here are a few simple guidelines to help you help us accomplish this protection. 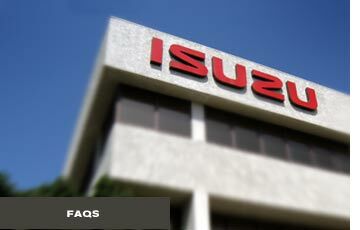 What are the Isuzu trademarks? How can Isuzu trademarks be used? Here is the Isuzu logo that you can copy from this Web site. Please refer to these guidelines when using these trademarks.